Cole-Parmer, a leading manufacturer of laboratory equipment, announced today that it has launched the DNA Prep Kit by Arcis Biotechnology for fast and convenient DNA or RNA extraction. This new sample preparation kit allows rapid extraction of either DNA or RNA in three minutes with high yields, and is ideal for use with Cole-Parmer's Delta Seek reagents and Techne or PCRmax PCR and qPCR hardware systems. Existing sample preparation kits currently require laborious washing, heating and centrifugation steps that typically take 40 to 90 minutes to extract DNA or RNA from a sample. The Arcis DNA Prep Kit requires two simple steps that are completed in just three minutes, to provide high quality, PCR-ready templates with no need for additional laboratory equipment such as centrifuges or hot blocks. By simplifying the workflow while maintaining high yields, this product is ideal for multiple applications such as PCR (End-point, RT-qPCR), Real-Time PCR (qPCR), Isothermal amplification (LAMP), Sequencing (Sanger, Pyro), Genetic profiling (Electrophoresis) and forensic studies. The extraction system can also be easily integrated into automated processes. The Arcis DNA Prep Kit, if used for extractions from fluids like blood, requires as little as 30 µl of sample as a starting material and, unlike other products, can extract both DNA and RNA. This dual capability removes the need for separate DNA and RNA extraction kits and, combined with the unrivalled three-minute sample processing time, saves time and money for labs of all sizes. 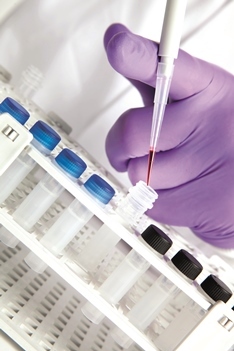 "The Arcis DNA Prep Kit will massively reduce the time in which DNA and RNA samples can be obtained," said Andrew Birnie, Business Development Manager at PCRmax. "It's such a simple product that makes a usually laborious process easy and convenient, without compromising on yields. It's ideal for any molecular biologist." If you are interested in testing the Arcis DNA Prep Kit, please contact Cole-Parmer as samples are available upon request.